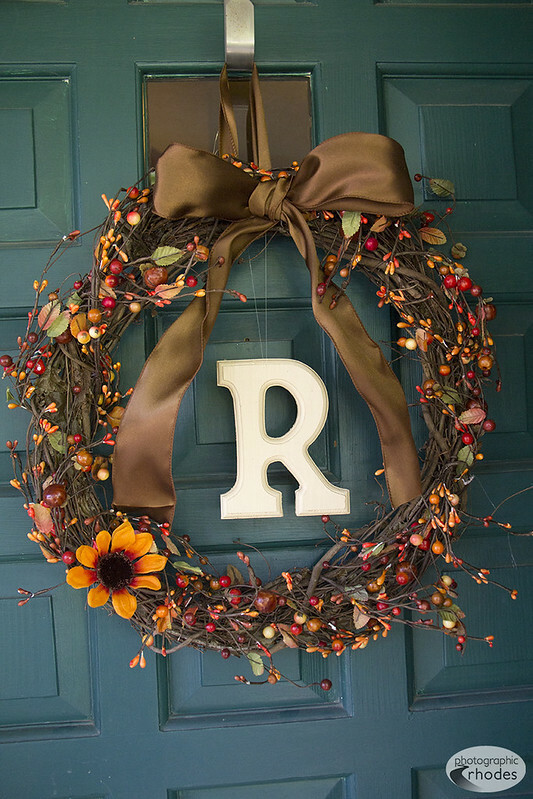 A couple of weeks ago when I got an itch to be crafty, I made this fall wreath for our front door. It was really easy, and much less expensive than buying one. I got all of the supplies at Michael’s.